The research interests of the Locomotion Biomechanics Lab's team concern the effects of neuromuscular adaptations resulting by aging and neuro-musculo-skeletal disorders on locomotion-related motor tasks. This ambitious objective relies on the evidence that safe and autonomous walking capabilities allow persons to maintain independence during daily activities, to enjoy social relationships and to retain good emotional vitality. In addition, walking is the most natural form of physical activity, thus providing persons with extensive benefits significantly improving the quality of their life. 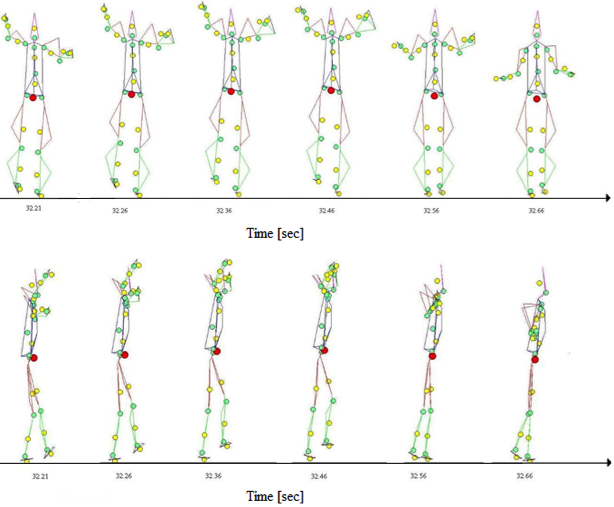 Accordingly, our studies are aimed at achieving a quantitative assessment of the effects of aging and disorders on locomotion-related motor tasks, and identifying suitable strategies to recovery safe and autonomous walking capabilities. 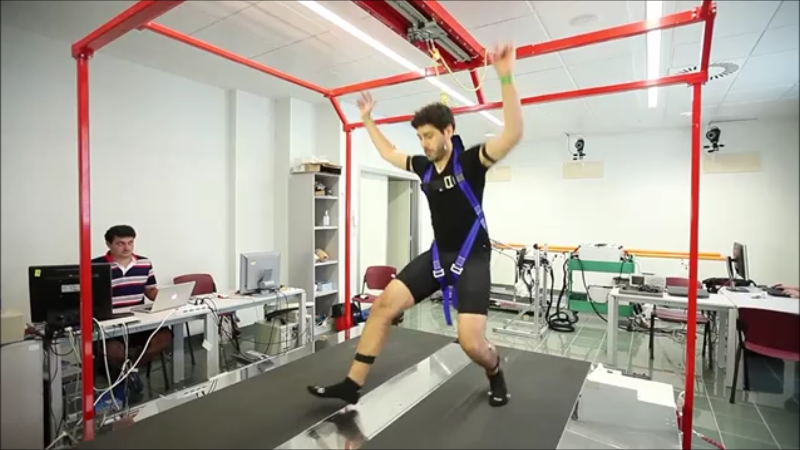 In this framework, the main activities of our team consists in: investigating the fundamental principles underlying human locomotion; developing robotic platforms to promote the recovery of locomotion capabilities of persons affected by neuro-musculo-skeletal diseases; developing suitable strategies to counteract the lack of balance and prevent the fall risk. Walking can be considered a periodic motor task whose features can be described by suitable mathematical predictors. When the dynamics of the locomotion is altered by a sudden and unexpected perturbation, intra- and inter-limbs coordination is modified and their rhythmic features are lost. This occurrence leads the predictors to seek a new pattern and, consequently, to diverge from the actual kinematic variables. Coscia M, Monaco V, Martelloni C, Rossi B, Chisari C and Micera S. Muscle synergies and spinal maps are sensitive to the asymmetry induced by a unilateral stroke. J Neuroeng Rehabil 2015 Apr. 18;12(1):39. doi: 10.1186/s12984-015-0031-7. Tropea P, Vitiello N, Martelli D, Aprigliano F, Micera S, Monaco V. Detecting Slipping-Like Perturbations by Using Adaptive Oscillators. Ann Biomed Eng. 2015 Feb;43(2):416-26. doi: 10.1007/s10439-014-1175-5. Epub 2014 Nov 7. Chisari C, Bertolucci F, Monaco V, Venturi M, Simonella C, Micera S, Rossi B. Robot-assisted gait training improves motor performances and modifies Motor Unit firing in post-stroke patients. Eur J Phys Rehabil Med 2015 Feb; 51(1):59-69. Epub 2014 Jan 30. Martelli D, Vannetti F, Cortese M, Tropea P, Giovacchini F, Micera S, et al. 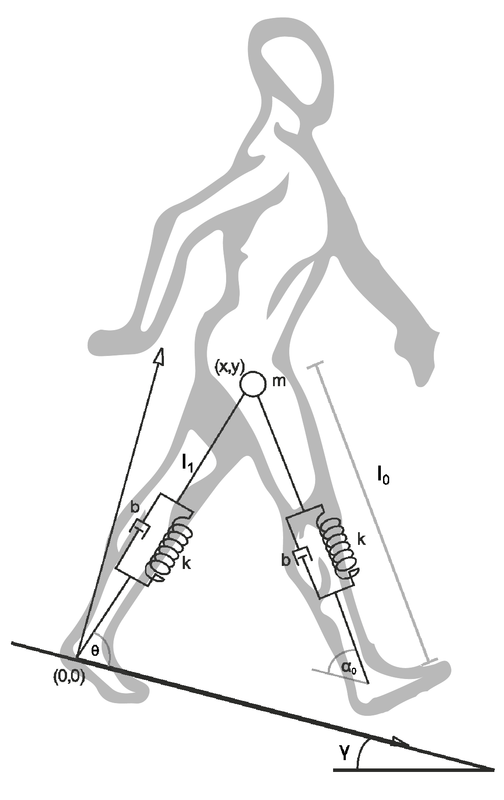 The effects on biomechanics of walking and balance recovery in a novel pelvis exoskeleton during zerotorque control. Robotica Dec 2014. vol. 32, pp. 1317-1330. Martelli D, Artoni F, Monaco V, Sabatini AM, Micera S. Pre-impact fall detection: optimal sensor positioning based on a machine learning paradigm. PLoS One. 2014 Mar 21;9(3):e92037. doi: 10.1371/journal.pone. 0092037. Martelli D, Monaco V, Bassi Luciani L, Micera S. Angular momentum during unexpected multidirectional perturbations delivered while walking. IEEE Trans Biomed Eng. 2013 Jul;60(7):1785-95. doi: 10.1109/TBME.2013.2241434. 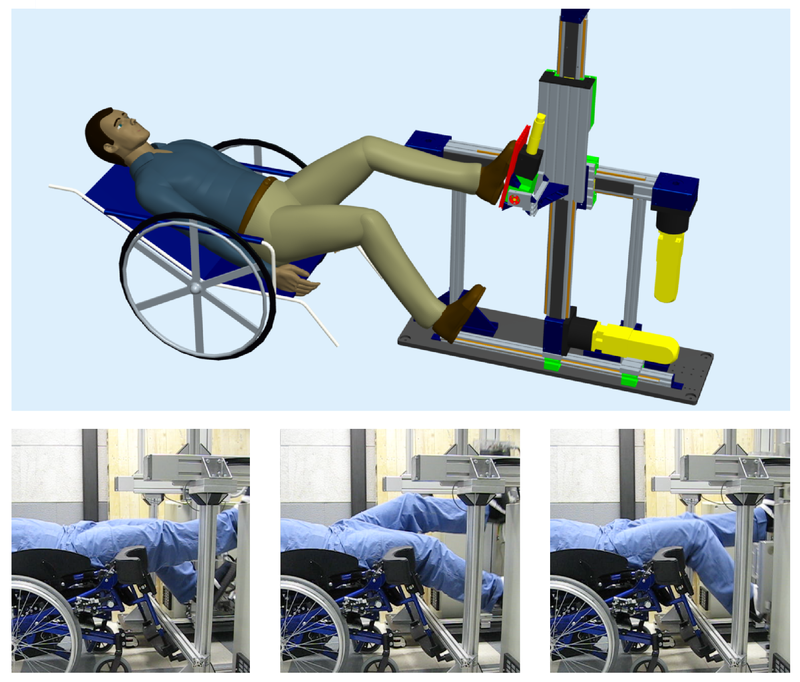 Monaco V, Galardi G, Coscia M, Martelli D, Micera S. Design and evaluation of NEUROBike: a neurorehabilitative platform for bedridden post-stroke patients. IEEE Trans Neural Syst Rehabil Eng. 2012 Nov;20(6):845-52. doi: 10.1109/TNSRE.2012.2212914. Bassi Luciani L, Genovese V, Monaco V, Odetti L, Cattin E, Micera S. Design and evaluation of a new mechatronic platform for assessment and prevention of fall risks. J Neuroeng Rehabil. 2012 Jul 28;9:51. doi:10.1186/1743-0003-9-51. Monaco V, Micera S. Age-related neuromuscular adaptation does not affect the mechanical efficiency of lower limbs during walking. Gait Posture. 2012 Jul;36(3):350-5. doi: 10.1016/j.gaitpost.2012.03.031. V. Monaco, M. Capogrosso, P. Tropea and S. Micera, “Riabilitazione del cammino: modelli matematici per la progettazione di protesi robotiche e neuroprotesi”. La bioingegneria: dal recupero funzionale all'organo artificiale, Cobelli C, Costantino ML, Dario P, Micera S (Editors), Bologna: Pàtron; ISBN: 978-8-855-53277-8 (2014).